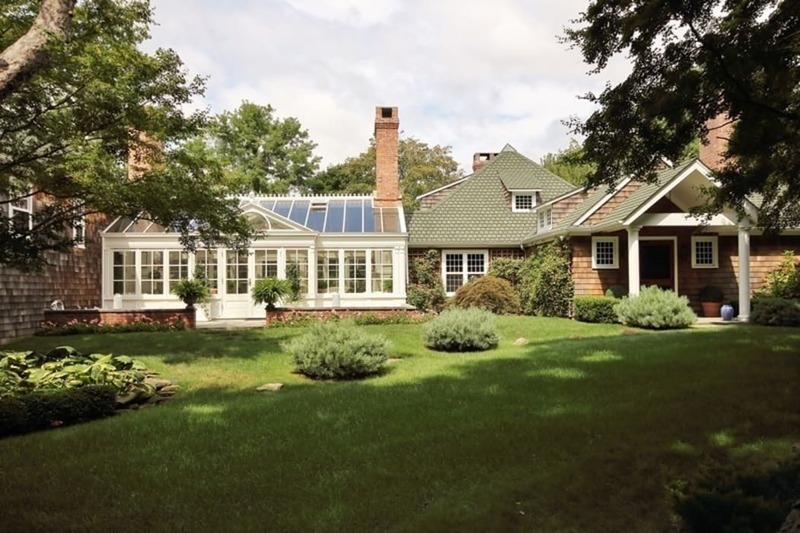 This Hampton conservatory provides a link between both wings of the home. Twin fireplaces, with adjacent seating, at either end of the conservatory and a huge central dining table, provide symmetry and balance to the interior. Bespoke timber panelling, wide window seats and two sets of double doors, opening to the lawn, make it a perfect space for either family relaxation or large scale entertaining.